At this time of year nearly everything sparkles, from fireworks and sparklers on bonfire night to glistening bauballs and decorations at Christmas. 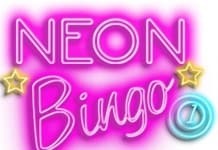 So what better way to celebrate this time of year than to play at Sparkly Bingo. With gilttering jewels and lovely bright colours this site is defiantly sure to uplift your Autumn mood. And with some fantastic welcome bonuses and amazing jackpots, we’re sure you’ll love playing Sparkly Bingo. Start sparkling right now at Sparkly Bingo with an awesome newbie freebie of £10 FREE when you sign-up and you don’t even have to make a deposit. Just follow the simple 3-steps and in less time than it takes to make a brew you have a tenner in your account to play with. But your best taking advantage of Sparkly Bingo’s Massive Triple Bonus deal. Deposit as little as £5 and get £12.50 Completely FREE. Better still deposit £20 and receive £50 FREE Welcome Bonus, with £70 in your account to play with. If thats not enough Sparkly Bingo has a 150% Newbie Bonus up to £150 (use code NEW) on your second deposit and 100% Shimmering Bonus up to £100 (use code MONEY). Giving a total of £300 FREE cash to play with if you maximize your first three welcome deals. Make sure you grab these great offers now. With a 50% Reload Bonus for every future deposit you make, Sparkly Bingo has to be one of the most generous bingo sites we’ve come across. Play 75 Ball Stardust Games with a jackpot of £2,500. There are also 4x 90 Ball bingo games offering players up to a whopping £2,500 and as much as 500,000 diamond loyalty points. Plus 5-line bingo games offering 500,000 sparkly points, all of this for as little as 5p a card. Join the Free Bingo £10K Cash Cloud every Friday night at 10pm for a chance to grab an unbelieveable jackpot of £10,000. Make sure you get your place to play now. For those who are wise with their money we have Pretty Pennies. You can pick-up tickets for as little as 1p with gauranteed jackpots of £50. Sparkly Bingo also has a great collection of progressive slot games, instant scratch cards and mini games, if you fancy something different. I love playing my favourite games while i’m on the go. 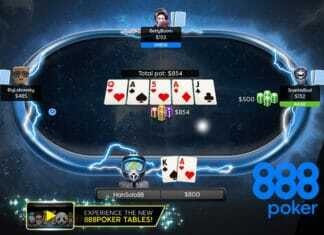 Whether it’s sat in a coffee shop or on the bus, its great to be able to play them on your smartphone or tabet. So how does Sparkly Bingo compare on mobile I hear you ask? You’ll be pleased to know that it plays great through the main website using any internet browser such as Chrome, Firefox or Safari. The high-res graphics look amazing and the menus and icons adjust perfectly to any screen size. The user input (swipe and tap) commands using the touch screen are quick to respond, making the whole user experience more intuative. You can make your first deposit using the following payment methods: Neteller, VISA, MasterCard, Maestro and PaySafe Card. With so much glitter, bonanza bonuses and star studded prizes whats not to love about Sparlky Bingo! Its quick and easy to play on mobile, and with colourful and cute bingo ball characters to brighten up your day. Mingle and meet new friends while playing together for a little as 1p.